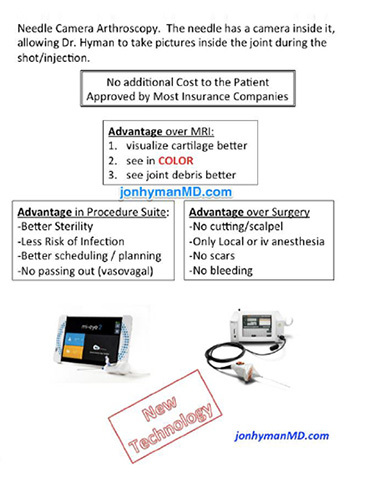 Atlanta Orthopedic Surgeon Jon Hyman, MD is again bringing the latest surgical technology to the Metro Atlanta area. By providing the best care available for his patients, Dr. Hyman fulfills a commitment to health and wellness that is top notch and scientifically based. Trice Medical has developed a state of the art technology that has a tiny camera which fits inside of a needle, so the surgeon can see inside your joint when giving you an injection. This technology also allows the surgeon to detect problems that missed be missed on an MRI. Furthermore, it can avoid the need for arthroscopic surgery. In being the first doctor in Georgia to successfully perform the Mi-eye 2 (pronounced ‘my’ eye) diagnostic needle arthroscopy in the hip, Dr. Hyman has pioneered a new frontier in the care of hip pain and hip disorders in general. He uses the Mi-eye 2 technology to diagnose and treat conditions like femoral acetabular impingement (FAI), labral tears, loose bodies, arthritis, degenerative joint disease, bursitis, tendonitis, and cartilage problems in the joints. 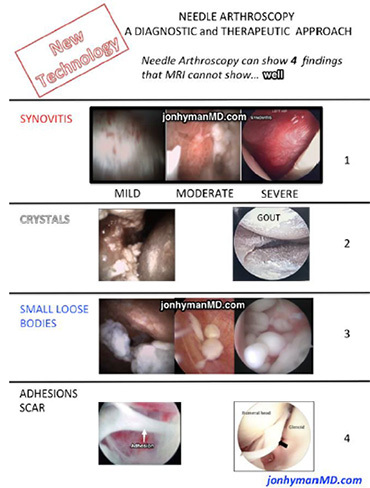 Because Dr. Hyman skillfully uses the Mi-eye 2 technology in the other major joints as well, ie shoulders and knees, the Advanced Orthopedic Surgery Center (AOSC) is the ONLY facility in Georgia with the specialized experience in doing this procedure in all of these major joints. We have become the regional leader for performing the mi-eye needle arthroscopy procedure in hips, knees, and shoulders and are now the Southeastern United State’s only recognized Center for Excellence for needle arthroscopy. If you are still having joint pain, despite rest, treatment or an MRI, and you want to know whats going on without having to have an invasive surgery, contact our office to see if you are a candidate for this revolutionary diagnostic procedure. Visit tricemedical.com/patients/ for more information.